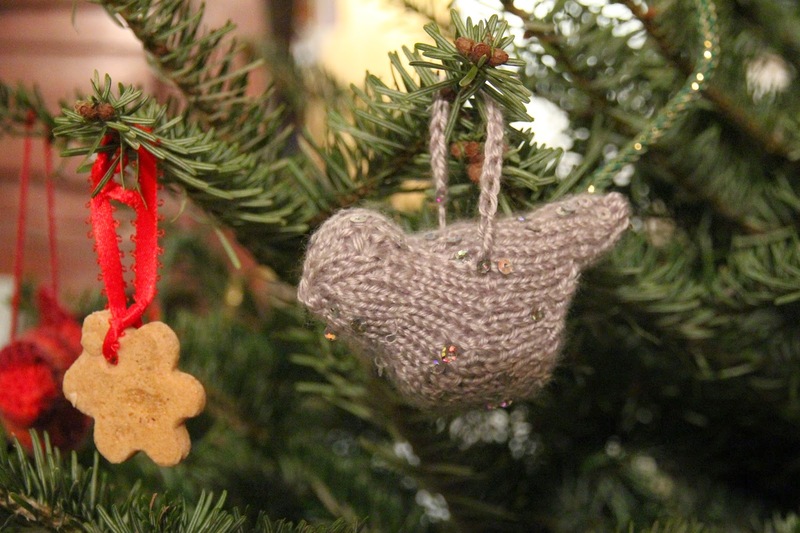 A recap of my sewing, knitting and spinning adventures in 2014, and gentle goals for the new year. Episode recorded on January 3, 2015. Download the episode (1:02:02) here. If you wish to connect on Instagram, please send me a note first to introduce yourself. In November I made a couple of ring slings for the Playful Tot and my daughter. Patterns I made this year were by Deer and Doe, By Hand London, Colette patterns. I mention the Raglan Pocket Dress and Minimalist Dress by Brindille et Twig. – Finished projects for 2014. 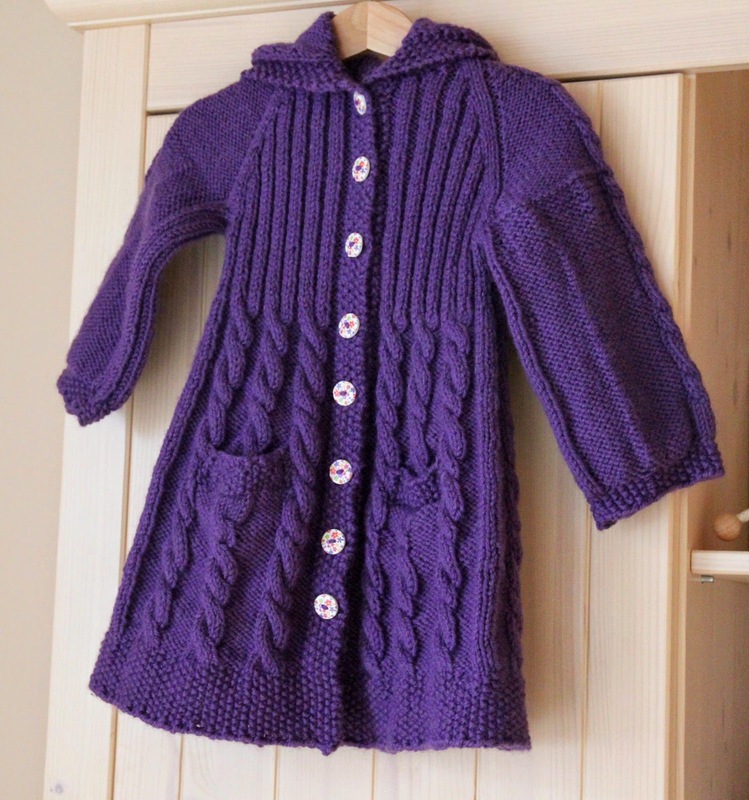 – Manteau de Lutin, AKA Lavanda jacket by Elena Nodel, for my daughter. 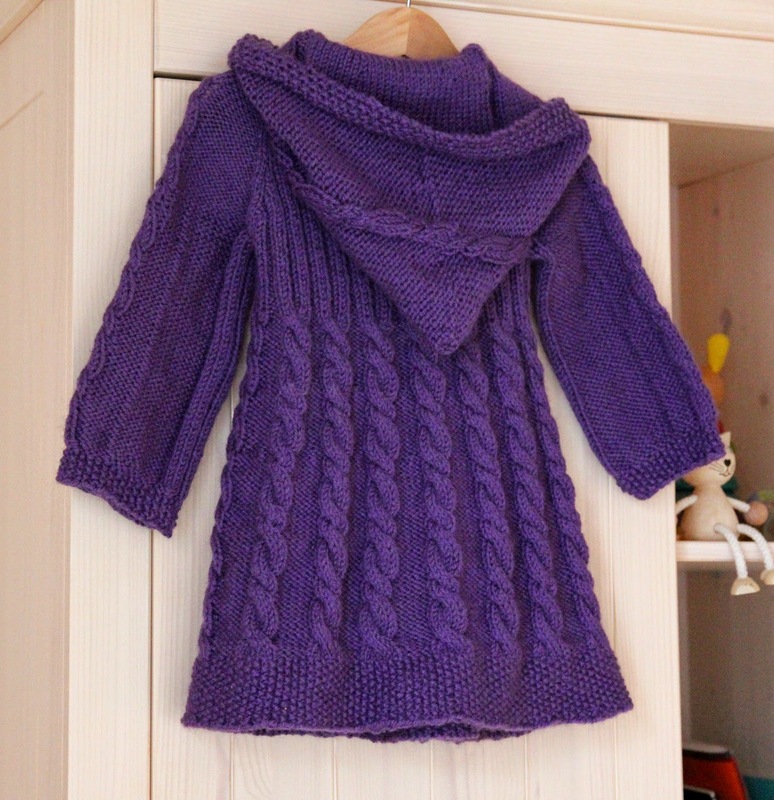 I made the long, hooded version, in size 4 Y. 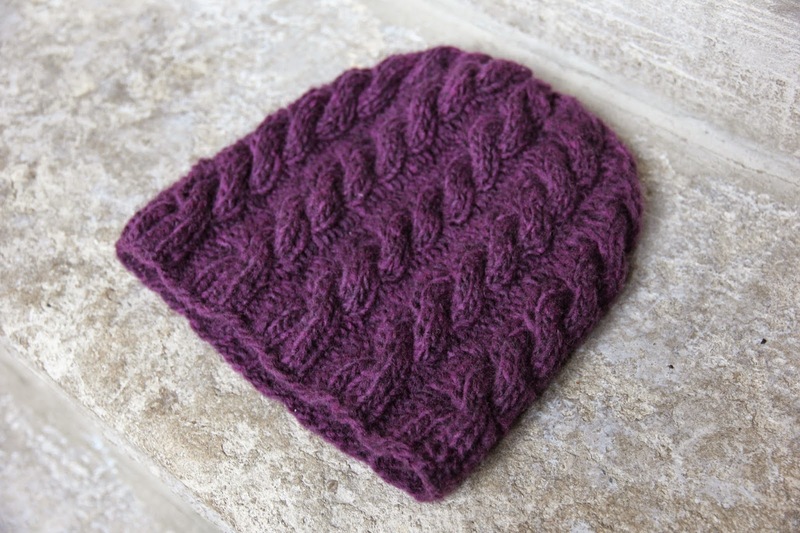 The yarn is Basic Sport by Katia. – Snappy Hat by Corinna Ferguson. Out of Online Divano. 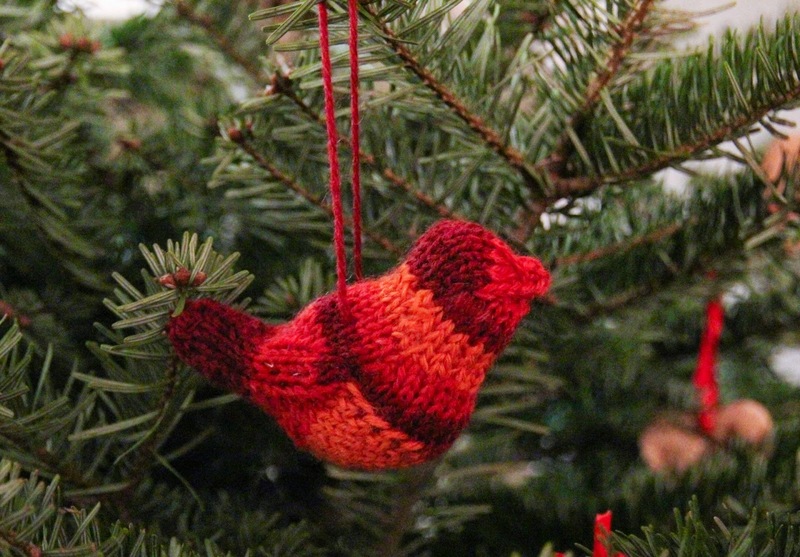 – Bluebirds of Happiness: 1 one for our tree out of leftover red yarn and 2 out of Soft Payette for my sister and my friend Sylvie. – Cardigan out of my handspun for SPAKAL: Metro by Connie Chang Chinchio. – Lenny by Heidi Atwood-Reeves for my daughter, out of Countess Ablaze BFL Aran in Radioactive Raspberry. 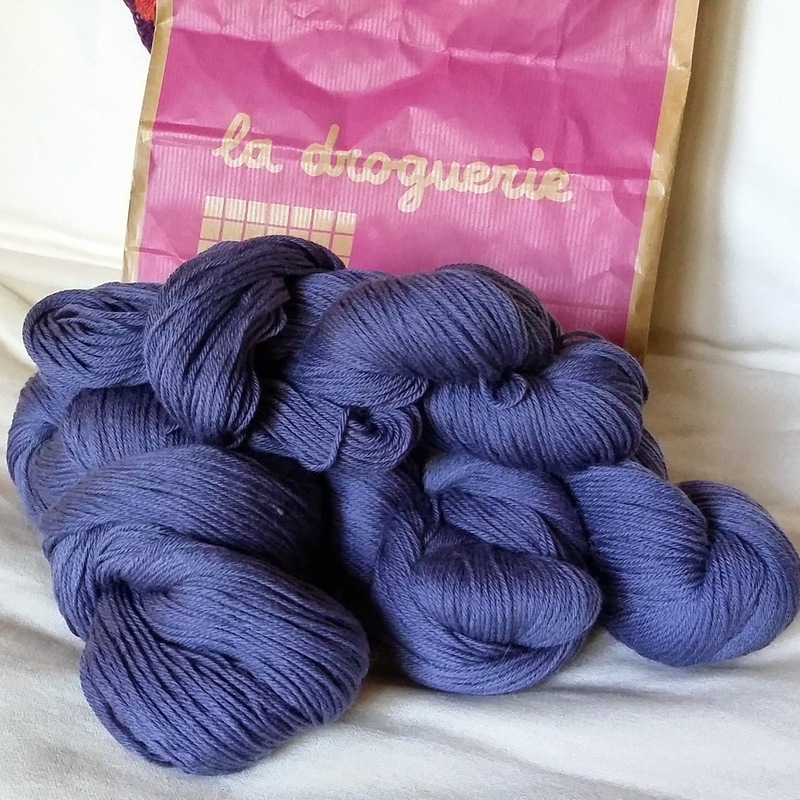 – Cardigan for me, OR for both me and my daughter, out of the Surnaturelle yarn that I got from La Droguerie for Christmas. I am considering making Alecia Beth by Justyna Lorkowska. I mention the crocheted pullover I made out of the same yarn, and the Vitamin D cardigan. 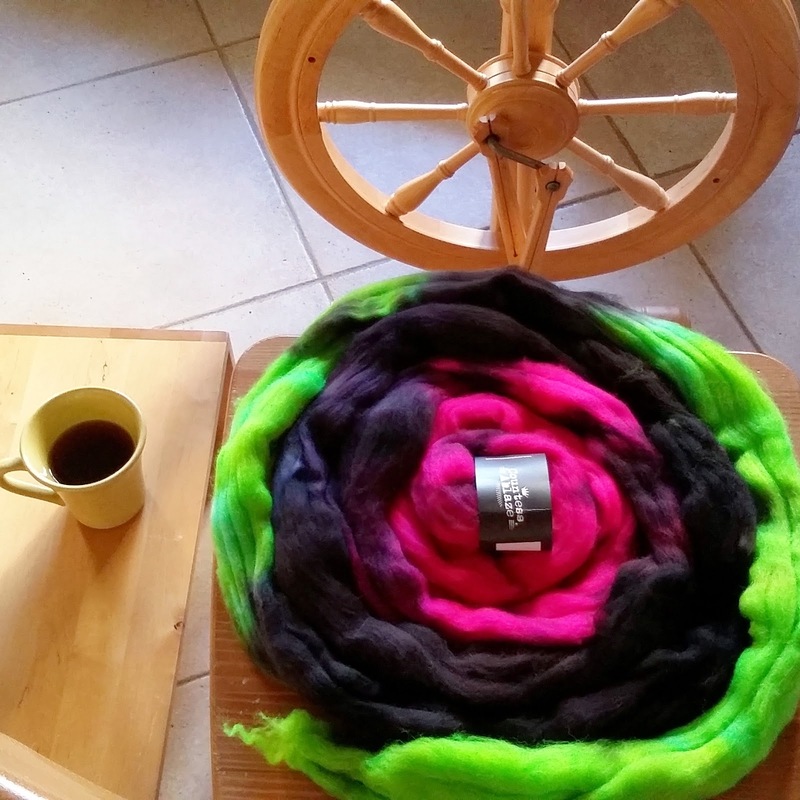 – I finished spinning The Fifth Queen, out of the Catherine Howard fibre blend by Hilltop Cloud. – Jacey Boggs Faulkner’s Craftsy Class: Drafting from Worsted to Woolen is an excellent new ressource if you’re learning how to spin. 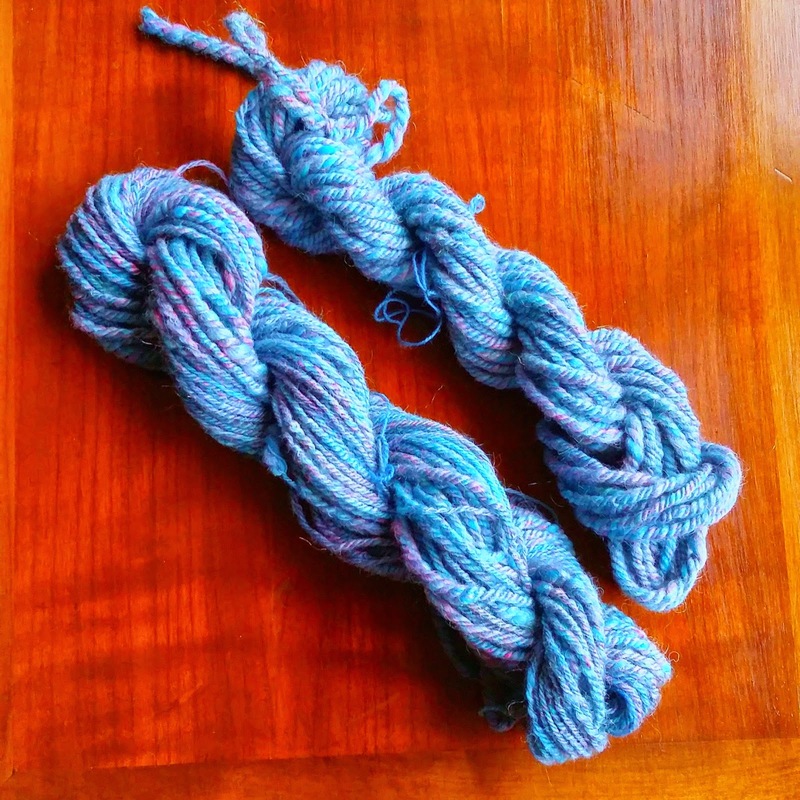 – I have been spinning a merino braid from Countess Ablaze in Northern Lights. 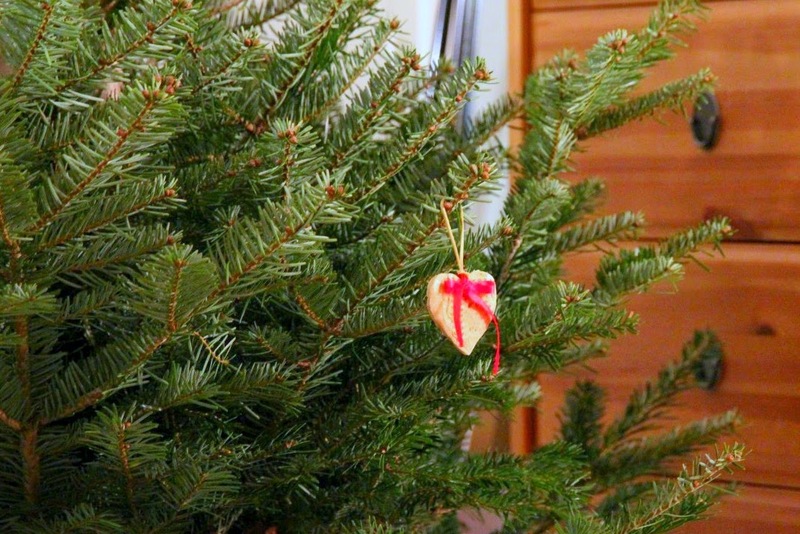 My daughter and I created salt dough ornaments for our tree, for a simple, fun, and hassle-free Christmas season. I think that Northern Lights colorway is going to be amazing! I am interested in seeing what you will be doing with the yarn. I am beginning a love affair with yarn at the moment, but still have plenty of sewing dreams to fulfill! Happy to see you are still sewing out there in the blogosphere! Je vous souhaite à tous les trois une belle année 2015 ! Thanks for mentioning Countess Ablaze yarn. I wasn't aware of this hand-dyed yarn. Such lovely colors!